Water in the area varies significantly in temperature and in dissolved solids concentration, and as a result the density and viscosity vary from area to area. 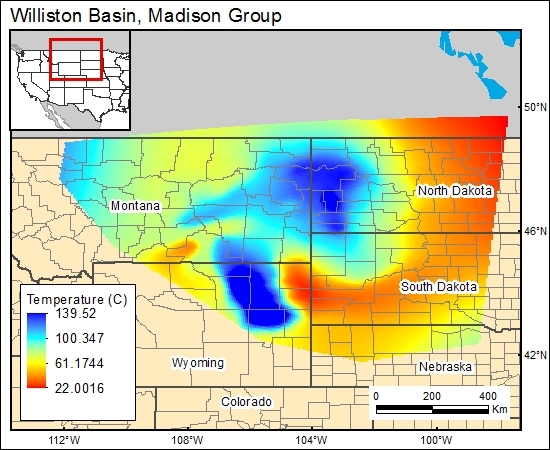 Available data for the ground-water temperature of the Madison Group show variations between 46 °F in or near outcrop areas to about 300 °F in some deeper parts of the basin. The units for the water-temperature map by Downey (1986) (modified from MacCay, 1984) are in degrees Celsius.